The free state convention at Topeka decided Kansans in favor of writing a constitution and submitting it to Congress, whether the territorial government liked it or not. They created their own executive to administer the process and wrote a proclamation to call Kansans to the polls and justify the radical step toward outright insurrection. They listed their many grievances and wrapped themselves in the flag by echoing the language of the Declaration of Independence. All of this clearly broke the law, and not just the draconian slave code that the territorial legislature had established. A federal law, the Kansas-Nebraska Act, had ordained Kansas’ territorial government. Yet now they would ask Congress, author of that law, for relief. James Lane’s committee had their facts in order. One will search in vain for territorial government provisions in the Constitution. Back in the early Republic, some doubted that places on the western side of the Appalachians even deserved state government. No set procedure existed for organizing territory into states, though the Constitution did contemplate the addition of new states to the Union. Tennessee, organized under the Southwest Ordinance, had operated as a territory established by Congress, but then proclaimed itself a state and sent men to Congress to see things through. If Congress could tolerate such an act in the 1790s, then it could do so again in the 1850s. Perhaps the Kansans did not color within all the lines, but they understood themselves as in dire straits and could claim that they had no constitutional mandate forcing them to hew to the established process. They had the Kansas-Nebraska Act and it said nothing about what to do when residents of another state stole your elections and then legislated all the rights of free white men away. 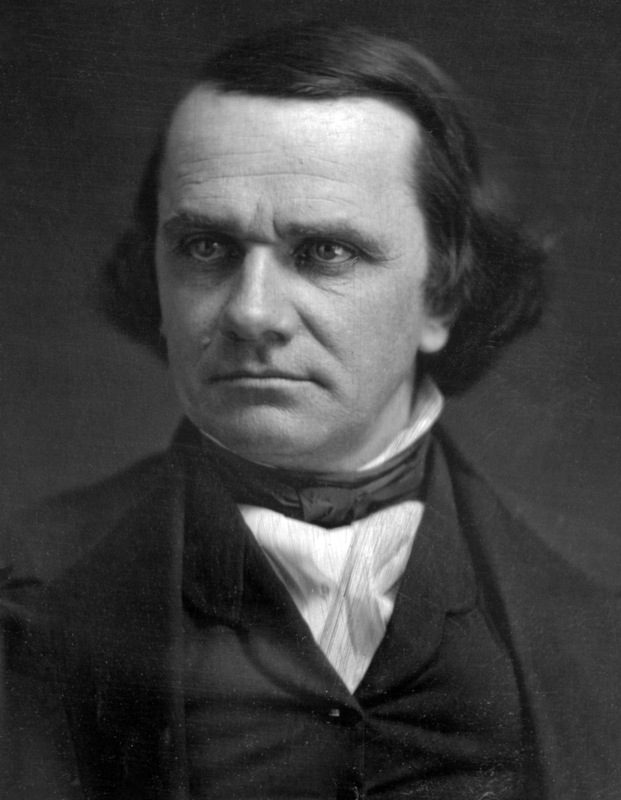 Stephen Douglas never foresaw that. Nor did the F Street Mess demand he do so. Reasonable people would have expected some kind of fight in Kansas, and Atchison, Stringfellow, and company expected the fight they offered, but nowhere in the act did one find provision to break in case of invasion by Missouri. That might not persuade most of Congress, but would provide some cover for moderates who felt caught between defending the authority of the body and republican principles. At the end of September, 1855, Kansas new free state party gathered in Topeka and did the necessary work to proceed with their plan to make their own state government and ask Congress to admit it instead of the proslavery government that their Missourian neighbors had imposed upon them. They established a provisional government in the form of an executive committee and conveyed upon it power to administrate the elections for a proper constitutional convention. That duty included naming polling places and election officials. None of that would do any good if Kansans stayed at home. Thus the convention empowered a band of official promoters and propagandists. They would go back to their homes and spread the news in their papers, handbills, and so forth. Each writer could make his own appeals, but James Lane’s executive committee also approved an official proclamation to circulate. the territorial government, as now constitute for Kansas, has proved a failure: squatter sovereignty, under its workings, a miserable delusion; in proof of which it is only necessary to refer to our past history and present deplorable condition. Lane did not open up with fireworks against slavery, but the condemnation of popular sovereignty came over the signature of a man who voted for just that doctrine a year prior. The free state movement continued to endorse the principle of the Kansas-Nebraska Act as well. Thus one might wonder about the rhetorical shift. But the indictment comes with the important qualifier that the doctrine, as practiced in Kansas, made for that “miserable delusion.” It might work fine in Nebraska, New Mexico, or some other place. Only the experience of Kansas impeached it. Committed antislavery men who adopted popular sovereignty for the complaint that proslavery forces could not prevail even using their own tool could sign on to that and ignore the qualifiers. Those more aggrieved specifically at the circumscription of white self-government could in turn take from the lines that they had not joined up with a band of crusading abolitionists. Unlike many similar declarations, the committee didn’t see a need to call out Jefferson or the spirit of ’76 by name. Echoing the argument of the Declaration served well enough on its own. If anybody missed it, George Brown also sold copies out of his office. The Topeka convention on “the expediency of the formation of a State government with a view to application to Congress at its next session for admission as a State” came together on September 19, 1855. The convention on whether or not to hold a constitutional convention had begun. At eleven in the morning, they did the usual business of electing officers, reviewing credentials, and appointing a committee to do the work of drafting resolutions. They then called it a day, recommencing at nine the next morning. The convention appointed a committee of eighteen, one from each district, to draft an address to the people of Kansas and interested parties abroad. They would tell all who would listen “our grievances and the policy we have been compelled to adopt, and which we have determined at all hazards to carry out.” The official rhetoricians of the convention included such familiar faces as James Lane, H. Miles Moore, John Wakefield, and George Washington Brown. They made the usual complaints about how Missourians had stolen Kansas elections and so rendered the Kansas-Nebraska Act a dead letter. That in turn deprived them of all their rights as Americans. Thus they must cast aside the extent territorial government and make their own. The officers would thus have the one power that might have saved the integrity of some elections in the past year. In the event that Missourians and other ruffians came around to vote illegally or, more likely, terrorize the legal voters, the free soil men had put a contingency in place to frustrate them. This rightly sounds very procedural. They must do these things to have their convention, but why do they matter? I highlight them because at this point the free state movement crossed a new line. 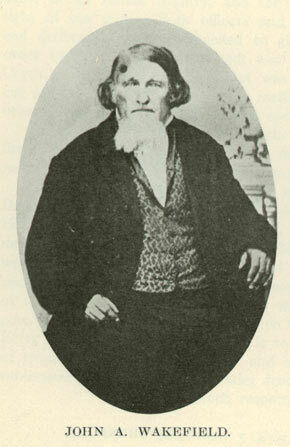 They assigned to their own number powers that Andrew Reeder had held and thus established a kind of provisional executive in advance of the second Topeka convention, which would do the work of writing a constitution. Its members would include James Lane and George Brown. The movement had gone beyond talk and into affirmative acts usurping the power of Kansas’ legal government. Though they hadn’t taken up arms, at this point one can fairly call their business insurrection. They did not propose mere civil disobedience, but rather revolution. 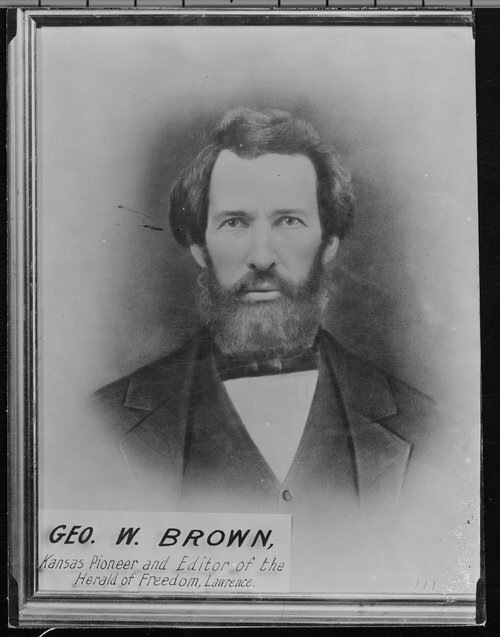 George Washington Brown published C. Stearns’ sometimes insulting, sometimes confused, and sometimes practical dissent from the free state party’s move to establish their own government for Kansas. I learned of it from Brown’s declaration, on a different page of the same paper. There Brown tells his readers that he planned to reply to Stearns fully but the business of the Topeka Convention had him out of town and then returned full of news that took precedence. He promised an answer in a later issue. I have run through most of the Herald of Freedom for October and not found it. I suspect events overtook Brown and Stearns’ letter seemed less important as time passed. The search brought to light some other incidents of interest, but they will wait for now. I do my best to keep things chronological here and the next significant event for the Free State party comes with their convention at Topeka on September 19 and 20, 1855. Yes, another convention. R.G. Elliott reported on a whole slew of public meetings preparatory to the Big Springs convention. Organizing movements takes a great deal of work and people in the 1850s couldn’t do anything by phone or email. These preliminaries seem the norm rather than the exception. Like Big Springs, and unlike some other gatherings, the convocation at Topeka represented another step forward for antislavery Kansans. They had agreed to support a statehood movement at Big Springs, but that convention properly concerned itself with organizing their party. Thereafter, the free state men had a party not just in the sense of sharing an interest and acting together in those ends, but also in the proper sense of an organization with recognized leadership. At Big Springs, they adopted a platform to establish a government of their own, write their own constitution, and petition for admission into the Union. They did not go forward and actually write the constitution or implement some kind of provisional government until they could. At Topeka, the free state men aimed to turn their party agreement into an agreement by Kansans in general that they should have a constitution. This does make it a preparatory gathering, but one somewhat more advanced and involved than previous occasions. The people have decided in favor of forming a State Government, and no free State man will now hesitate as to his duty. We must be united, and pull together. To attempt to frustrate the movement will be throwing obstacles in the way, which it will require labor, demanded in another sphere, to remove. Differences of opinion were entertained by delegates. – Some were their [sic] instructed to oppose the formation of a State government, but a majority of the Convention decided in favor of the movement; the small minority waved their objections, and joined heartily and with much enthusiasm with the majority. As must be the case in all deliberative bodies, as soon as the minority saw that they were not in the ascendant, they gracefully lent their energies in perfecting the arrangements of the majority. And if you didn’t want to take Brown’s word for it, he then published the proceedings of the convention for all to see. The perfection of their work would, naturally, convince all that it came from a party of a singular purpose. In time, it would delight Washington. Congress would rush to embrace a free Kansas. 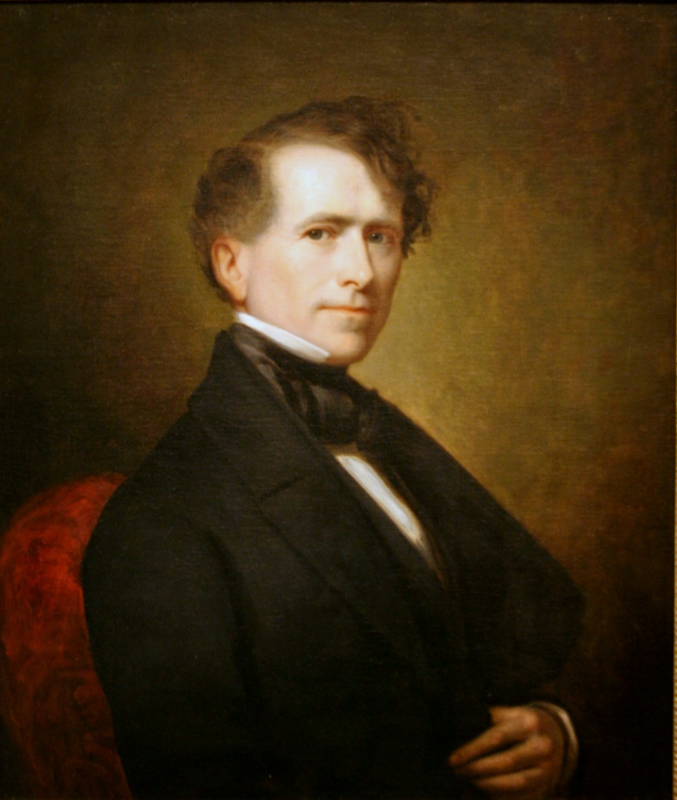 Franklin Pierce would sign with relief at having the matter taken from his hands. More settlers would come. Peace and prosperity would reign. If Missouri tried something, Kansas would raise an army against them. So far, Stearns has taken to the pages of George Brown’s Herald of Freedom to give his fellow antislavery men only reason to delay and do nothing, along with the implicit suggestion that they ought to rid themselves of venal fools who led them. Not all of those reasons come from blind fear or rock-ribbed conservatism. It only stood to reason that the proslavery men would seek ways to punish their foes and use the nascent insurrection as just cause. The delegate election really would come before a state government could properly form. But with all that considered, what did Stearns want them to do? On the day of election of Delegate to Congress, let copies of a petition to Congress be offered to every voter for him to sign. Let this petition state formally that the present Legislature of the Territory was elected by voters from Missouri, and had trampled under foot the authority of the United States, in refusing seats to men declared elected by the Governor-kin receiving members without their presenting the Governor’s certificates, and in adjourning from the place appointed by the Governor, to a part of the Territory not formally under the jurisdiction of the United States. That said Legislature had “abridged the freedom of speech and of the press;” and has enacted odious laws to which we never can submit. 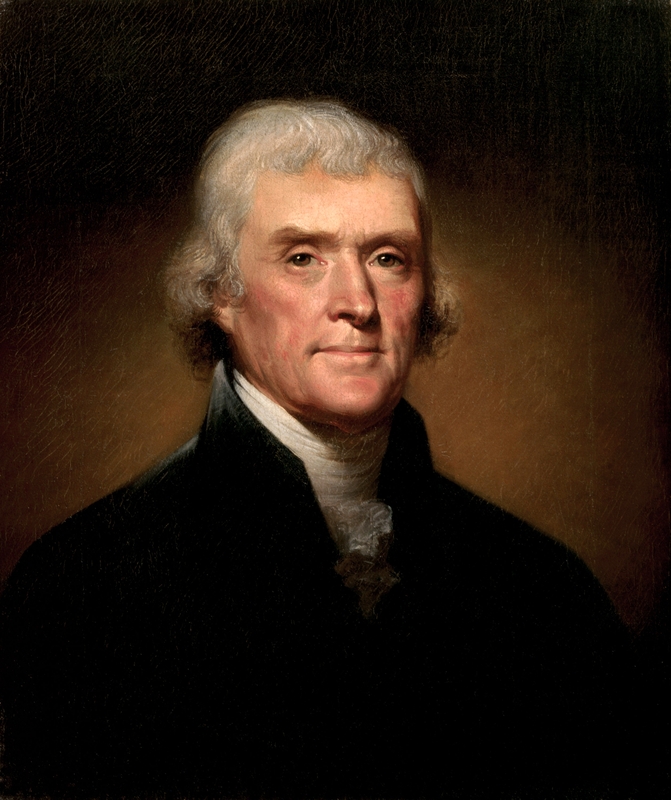 We are therefore left without any legal protection as a people and our dearest rights are wholly unguarded, and we, not knowing what more proper steps to take, do humbly ask the General Government to interfere in our behalf, either by enforcing the principles of the Nebraska-Kansas bill, or by some direct legislation suited to our case. That doesn’t sound like an awful idea, even if it runs heavy to things that the free soil men had done often enough before with their conventions and resolutions. But for a man so attuned to practicalities and the eagerness of proslavery Kansans to attack their antislavery foes, he picked an especially odd place to circulate petitions. His plan required that election officials, now appointed by the legislature, would permit petitions to circulate. It required free soil men to go to the polls, an option which exposed them to the real threat of violence. Then it required the proslavery men who would probably flood in from Missouri, as well as locally, to permit the petitions to go around. What, in the entire history of Kansas as an organized territory, led C. Stearns to think any of those things likely to transpire, let alone all of them together? Furthermore, the principle the Kansas-Nebraska Act meant different things to different Americans. To one party, popular sovereignty meant that the people could choose by affirmative act of their legislature to vote slavery in, but it did not exist within Kansas until that point. They had precedent and sound reasoning on their side. To the other party, popular sovereignty meant that the people could choose similarly to vote slavery out, but that it existed until a law banning it passed. They also had precedent and sound reasoning to cite. Asking Congress to enforce its law could bring either outcome, or neither as the body deadlocked. Congress passed that buck in large part because it had come to loggerheads on the issue and the ambiguity of popular sovereignty allowed swing votes to read it either way. Maybe Stearns hoped that proslavery excesses would shake those moderates loose and make them legislate clarity instead of smoke and mirrors, but the prospect of that seems as dim in late 1855 as it had in the spring of 1854. Everybody knows that the Southern states had slavery. The institution, in fact, made them Southern rather than something else. 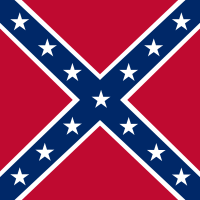 But the nation’s most notorious white supremacists have their less famous cousins north of the Mason-Dixon line. There states passed laws banning black Americans from living within their bounds. 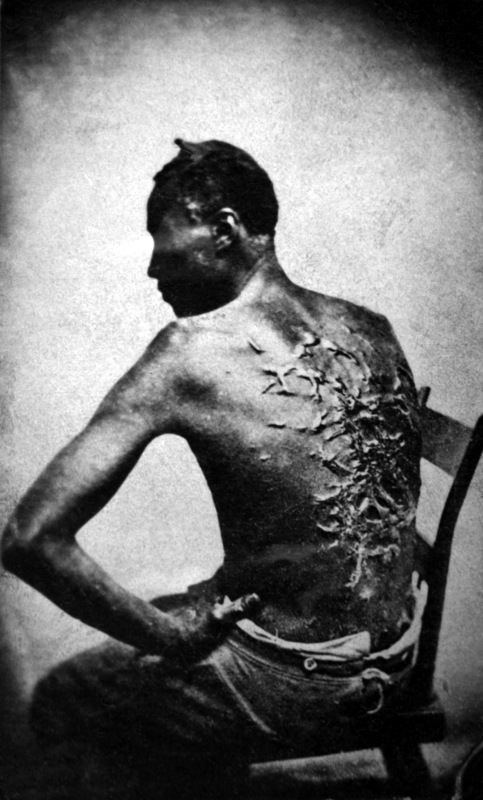 That degree of racism prompted proslavery men to answer back that they thought more highly of their slaves than northerners did of free blacks. Until the Great Migration early in the twentieth century, most black Americans lived in the South. Probably most would have anyway, as they and their ancestors had lived there for generations, but when they fled white terrorism and came to northern cities they found more of the same. The Klan effectively ran the state of Indiana for some time. Midwestern cities, like many others, still bear the stamp of that particular history: whites fled the city core and inner suburbs to achieve segregation impossible therein. Their children than wrung their hands and wondered just what had happened to the cities. I would like to say we do better now, but cities remain highly segregated. You don’t need de jure Jim Crow when you’ve simply created de facto whites only jurisdictions. You can find many of these whites only suburbs around the country, but this story brings me to one on the outskirts of Detroit. There a man put up a Confederate flag, a habit my neighbors like to think only exists in far warmer climes than our own state. They don’t seem to notice the people who drive around with one on their license plate or covering the rear window of the pickup truck. Nor do they often recognize that the integration of the high school, during my own tenure there, required the attention of the county sheriff. Only people with other accents do such things. Not content with the flag itself, Robert Tomanovich of Livonia, MI, added nooses hanging from trees to the display outside his house and another property he owns down the road. Tomanovich’s wife offered excuses to the reporter that came asking questions. You can believe them if you like, but I don’t find the combination of the Confederate battle flag and a noose in a tree a likely coincidence. Quite what he hopes to accomplish in lily-white Livonia I don’t know. When the reporter pressed his wife on how others might see the display, she shrugged the question off. That hardly seems like the behavior of a person trying to draw attention to how the town got the demographics it has with a deliberately provocative act. Tomanovich owns the property. He can display what he likes there and broke no law in doing so. But that does not make his display innocuous. I really don’t know how to read it as anything short of a proud declaration that a person who approves of lynching lives there. Thus people of the wrong color should not feel safe in the area. I can’t read Tomanovich’s mind to know it, but I strongly suspect that I have taken the correct meaning from his tableau. One need not live in the land of cotton to remember the bad old times. Stearns wrote with a fair bit of intellectual condescension, much of which I have declined to quote. He could find only venal and emotional motives to explain the antislavery party’s move to make their own state. The ringleaders wanted the benefits of public office. Passion drove them, not good sense. Faced with the total capture of the territorial government by proslavery men and their thoroughgoing attack on white freedoms, occasionally graduating to attacks on white lives as well, he advises his supposed allies to essentially take all that comes as if lives and freedom did not hang on the line. None of that makes Stearns’ letter unimportant. He still represents diversity of opinion among antislavery Kansans. He might very well have put into writing the doubts many expressed in private but would not send to the papers. With the friends of slavery very much in ascendance and known to prosecute their case with violence, it hardly requires a coward or a fool to worry about how things might go badly. if we form a Constitution now, we run the risk of having the “Black Law” engrafted upon it. If this is done, farewell to all our hopes of admission into the Union. Foul as is that Union, slaveholders and all, have always rejected such Constitutions as contrary to that of the United States. 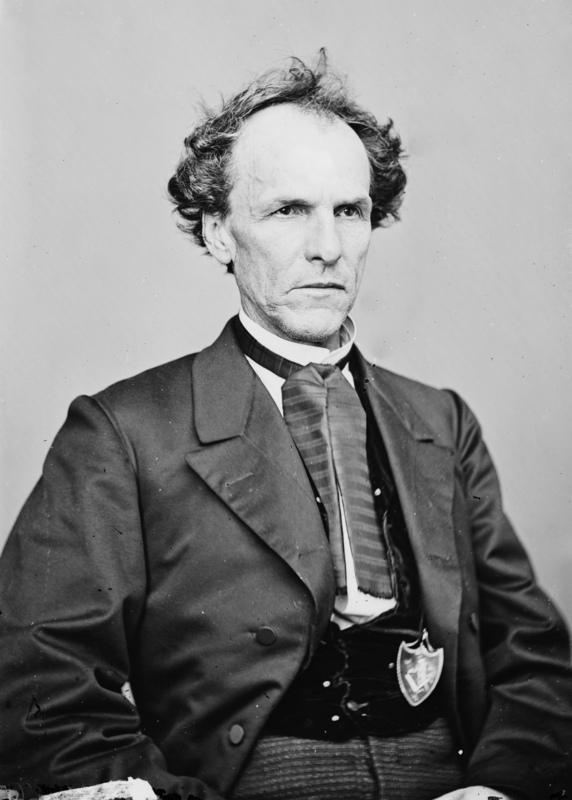 Henry Clay successfully opposed the admission of Missouri for that reason. Sumner, Hale, Giddings, all radical anti-slavery men, would oppose such a bill to death. However little we think of Stearns’ strategy of delay, he had the black law issue right. The free state movement voted overwhelmingly to ban all black people from Kansas once they had their state government established. Stearns did, however, rather selectively remember the Missouri crisis in implying that Missouri came before the Congress with a black law in its constitution and asked admission. Rather instead, James Tallmadge, Jr., of New York, proposed making the exclusion of future entrance of black Americans into Missouri as a condition of its statehood. This, among other provisions, aimed to set Missouri on the road to emancipation in the decades ahead. 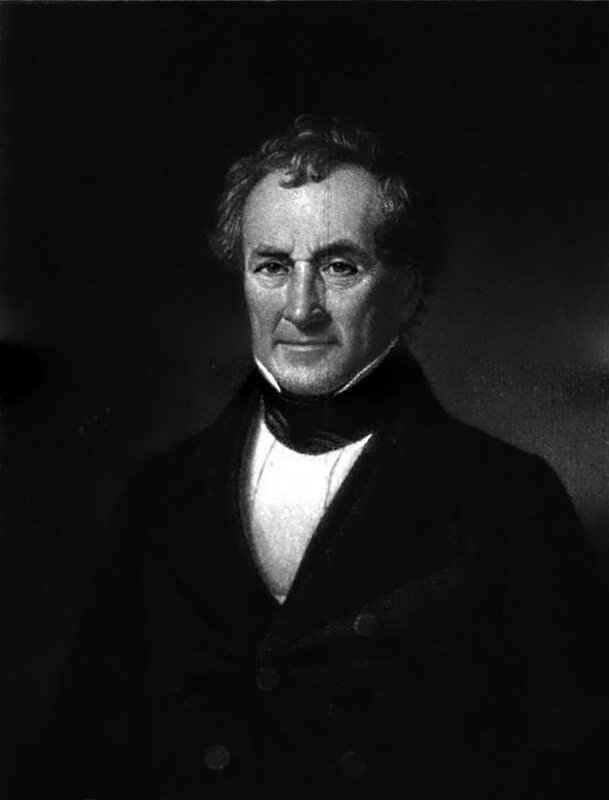 Tallmadge’s proposals ignited the crisis that Clay then settled with the Missouri Compromise, of late repeal fame. His questionable history aside, Stearns declared that a free Kansas with a black law poison pill could show up with hat in hand, beg the Republicans to support its admission, and receive no takers. Obviously the national Democracy wouldn’t go out of its way to help them after creating the whole Kansas mess. The free state men would have nowhere to go. it proves to me that their usual sagacity has not forsaken them, but they can see farther ahead than some of us can, and hope by seeming to oppose this project to blind our eyes, and induce us to advocate it still more strenuously. At any rate we must have penetration enough to ascertain the bearing of our projects upon our destiny, without being obliged to ask our opponents what they think of those projects. If we pursue the opposite course of always questioning the pro-slavery party as to their opinions on our meetings, they will certainly know enough to appear angry at a step which they are glad to see us taking. Do they know that we know that they know that we know? One could follow that train of logic to the point of utter paralysis. Stearns seemed to prefer that to all other outcomes. I would from that take that he in fact did not have any real interest in preventing Kansas from going over to slavery, but far too often I’ve seen people begin with good premises and tie themselves into impotent knots with the same kind of argument. Somehow magnificent brilliance descends upon one’s foes, which helpfully makes one’s own struggle all the more heroic despite its doom. But these advanced placement elegies assume the brilliance of one’s foes in a world where we, the unspectacular, vastly outnumber the Machiavellian savants. We left C. Stearns in the pages of the September 22 Herald of Freedom telling us that not every antislavery Kansan went all out for the radicals’ plan to make their own government and strike at once for statehood. To bolster his credibility as a genuine free soil man, Stearns quoted a letter he had from a friend in Boston. 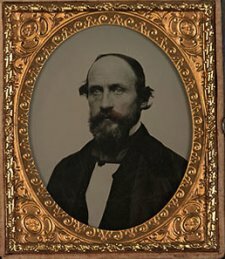 If a Boston lawyer, who Stearns left anonymous, could not sign on from the safety of Massachusetts, then surely antislavery men in Kansas could voice their strong opposition. It is not always guineas that prevent men from seeing the truth, but sometimes it is the American’s other ruling passion, viz: love of office. I trust that your readers will not consider that in my opinion, if fewer persons here were seeking for office we should hear less about a State Constitution than we do now. If any person takes offense at this remark, he will prove himself the identical office-seeker in question. One hears this kind of argument a great deal. People who object to injustices are simply grandstanding for their own gain. Just look how many have political aspirations for themselves. One would never expect any kind of natural overlap between the politically ambitious and the leadership of political movements. With this argument one can indict any movement on behalf of any cause. All human endeavors will attract their share of the self-aggrandizing. The free state movement had one in James Lane and probably others. Not satisfied with that, Stearns happily went on to declare that anybody disagreeing with his accusations of bad faith simply proved them true. it is extremely foolish to talk of forming a State Constitution, as we would write a newspaper article or make a stump speech. I question whether a year would be time enough to form such a Constitution as the wants of the age would require. We must go about such a measure free from all excitement, and with the utmost deliberation. The very short time left for us between the first of October, and the session of Congress, would hardly suffice to elect delegates. I can’t argue much with the plea for deliberation in crafting something so weighty as a constitution, but what Kansas did C. Stearns live in? His opponents had not accepted delay, but struck early and often. It gained them much, however thoroughly it alienated most Kansans. Proceeding in haste might have its own risks, and the delegate election would come before a constitutional convention could assemble, but patience and restraint had poorly served Kansas’ antislavery party to date.